Windows 8 is one of the Most trending Operating system that was developed by Microsoft.Windows 7 is better compared to windows 8 according to my point of view. Windows 8 introduces new metro GUI(Graphical User Interface).SO many People are interested to use Windows 8 but before activating they could not use the some feautures like changing the picture password and background design of Ribbon. It is the extra feature that was not existed in windows 7 but placed in windows 8.
. Now your mind was wandering that whether windows 8 supports updates or not ? Yes ,But it also supports updates and it automatically updates everyt time.But here For virus Protection Windows Defender will scan without the antivirus but it’s better to have a good antivirus. ii)Select the “Date and Time” Tab and then Click “change Time Zone” and select the (UTC +05:30 )Chennai,Kolkatta,Mumbai,New Delhi. 5)select 7pm Tech –W8 AIO Tool-1.0.0.1 and Press Enter And It will Open as shown below and wait for 2 minutes and select Your OS Name as Professional. 6.Make sure Before Activating Your PC/Laptop Should Be connected to Internet. 7)After that select the “Activate Key”. 8)Wait for 1 minute and You will receive notification that Your windows is activated and expiration time will be for every 6months. 9)Repeat the same Process every 6 minutes. How to check whether Windows 8 is activated or not? 1)Open My Computer in Windows 8 using (Windows + E)E –refers to explorer. 3)After wards It will the status that Your Windows is Activated. Finally If you Like This Buy a Original windows buy windows 9 which is releasing on june 24,2014. Comment to share Your Experience. 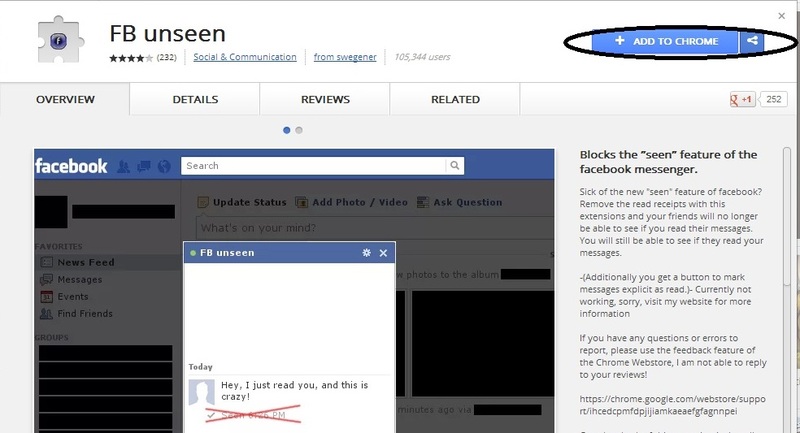 Everyone who is using Facebook will know the one feature that is "seen" in Facebook chat. 1) When you see your friends message then your friend automatically know that he has seen the message in Facebook chat. 2) In the same Manner you also knows when your friends seen the message. I have Good News for you that "if you dont want to know of your friends knows when you have or you have not seen the message". 3) When you kept this extension enabled then "you have a new message on facebbok inbox and you open it it still in unread state. Follow the Procedure To Install The Facebook Unseen to Chrome. Finally If you have any prolems Comment it ..Fell free to comment the experience. Still now so many users tried to activate Office 2010 Professional Plus using Several Keys by searched from different websites. Now you reached the correct place where you can activate office 2010 professional plus without using keys. Day by Day Cracking has become a child Plan in earlier days .We use the Serial Keys to activate a software.But Now we can activate a software using the internet connection or phone call. This activator will stops the message i.e., "The copy of windows is not activated". 2)Afterwards Extract the Zipped File. ii)Right Click the File and Select the Extract all. 5)Afterwords it will open in new Windows as shown in below screenshot. 7)Afterwards it will open in new command prompt window .You may Ask to type through 1 to 3.Type 1 or 2 to start the process and wait for 1-2 mins. 8)Finally Press any Key To exit. Afterwards The KMService will activate Office 2010 for 180 days.After the completion of the time you have to run The same Process. In case If you failed to activate Office 2010 then choose Rearn Office 2010 option. It will activate Office for 30 Days. 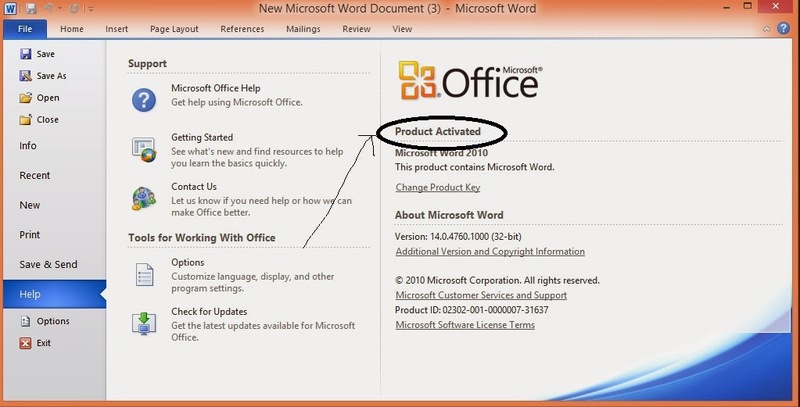 Want To Check Whether the Office Professional Plus Is activated or Not??? 1)Click on File And select Help Whether the Office Is activated or not? Please Comment us Your Valuable Feedback and if you face any problem just comment here we are here to help you always. Thanks for reading.Please share your experience by comments.